The England Women’s cricket team has been among those at the top of the world for some time, providing entertaining Ashes victories and gathering plaudits from all corners of the cricketing world. Yet, as in so many areas of business, women are still woefully under-represented at the boardroom levels of county and international cricket. That Lisa Pursehouse is the first female chief executive of a county cricket club is of little surprise but her appointment certainly provides hope that a sport often considered to be sitting firmly in the past is becoming something less of a dinosaur. There is no doubt that the position of Chief Executive at Nottinghamshire is one of the biggest in cricket, particularly in the light of a victorious pursuit to re-gain live Ashes Test cricket at Trent Bridge. Having previously worked for Yorkshire Country Cricket, Ms Pursehouse has been at Trent Bridge for nearly twelve years and will take over the role at the end of April. The newly appointed Chief Executive will return from an overseas holiday in two weeks time before hosting a media session ahead of the start of the domestic season. 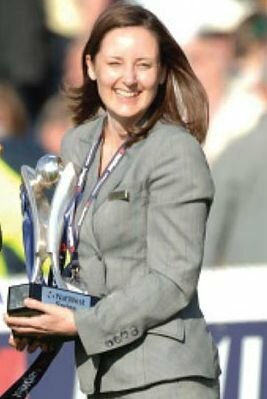 It should be noted that Ms Pursehouse is not the only woman to have held a major cricketing administrative position – Sophie Walker has previously held the position of General Manager at Leicesteshire. Regardless, cricket has made a step in the right direction.